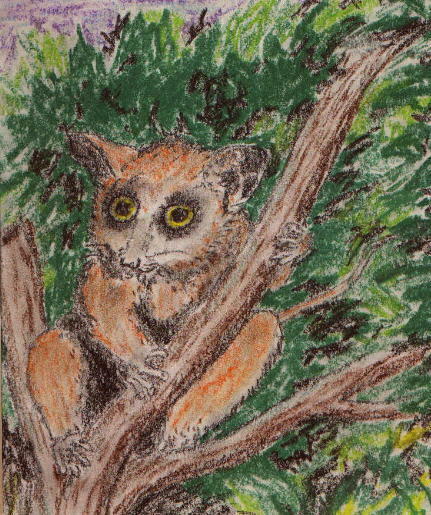 Here's a pastel sketch of a galago. Also known as "bushbabies" because of their piercing calls that resemble an infant screaming, galagos are prosimians, members of the primate family along with monkeys and apes. Prosimians are also sometimes called "lesser" primates. Lemurs, Lorises, and Tarsiers are all prosimians, and the galago is a type of Loris. 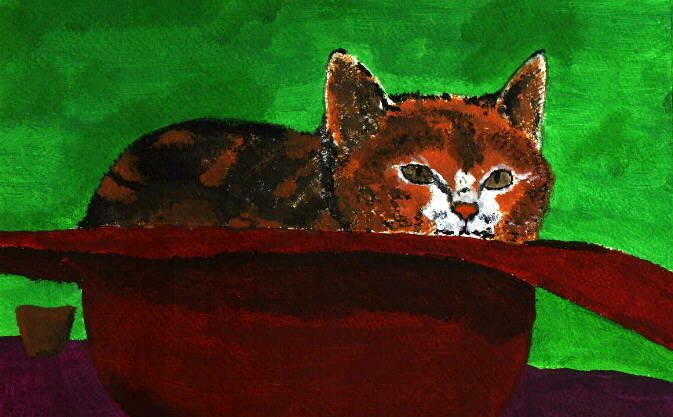 Here's another of my "minimalist" acrylics of a cat in a hat. I believe I did this from a photo, but I don't have the photo anymore...it was probably in a book.